The Charles Stewart Mott Foundation welcomed four new staff members this spring. Angelina Garner and Arielle Milton joined our Education team, while Lorenzo Wakefield and Carlos Rios-Santiago joined our Civil Society team. Garner, who joined the staff as a program officer, will focus on expanding afterschool initiatives for young people and for communities nationally. Milton, an associate program officer, will support the development of grantmaking strategies in the areas of academic coaching and mentoring. A graduate of the University of Kansas in Lawrence, Garner earned a bachelor’s degree in Theater with a minor in African American Women’s Studies. She worked for Youthnet of Greater Kansas City before taking a position as an afterschool regional educator/youth development resource specialist with the Missouri Afterschool Network in Kansas City. She subsequently worked for the Forum of Youth Investment, designing and implementing out of school time quality improvement systems for state departments of education and national youth serving organizations. An alumna of the American Express Leadership Academy for Not for Profit Leaders, Garner is a member of the National Afterschool Association and the Michigan Afterschool Association. Milton, who most recently worked for the Council of Michigan Foundations in Detroit, is not new to the field of philanthropy. She began her career at The Skillman Foundation in Detroit and subsequently held program positions in education, human services and global development with the Kresge Foundation in Troy, Michigan, and the GHR Foundation in Minneapolis, Minnesota. She is a graduate of the University of Michigan-Ann Arbor, where she earned a bachelor’s degree in Sociology and Political Science and a master’s degree in Public Administration. Milton is a member and past Michigan chair of the Emerging Practitioners in Philanthropy, a member of the Young Nonprofit Professionals Network and a 2017 New Leaders Council Fellow. Wakefield joined Mott as a program officer in the Foundation’s South Africa office, where he will focus on developing grantmaking strategies for the emerging global access to justice field. As a program assistant, Rios-Santiago will assist with grantmaking related to Mott’s work in community philanthropy and civic space. Before joining the Foundation, Wakefield worked as a senior program officer in the Justice, Equality and Rights Program at the Open Society Foundation for South Africa, and as a researcher on children’s rights and the rights of persons with disabilities at the National Parliament of South Africa. At the United Nations Office on Drugs and Crime, his work focused on crime prevention and rule of law. He earned his master’s degree in International Criminal and Human Rights Law from the University of the Western Cape. 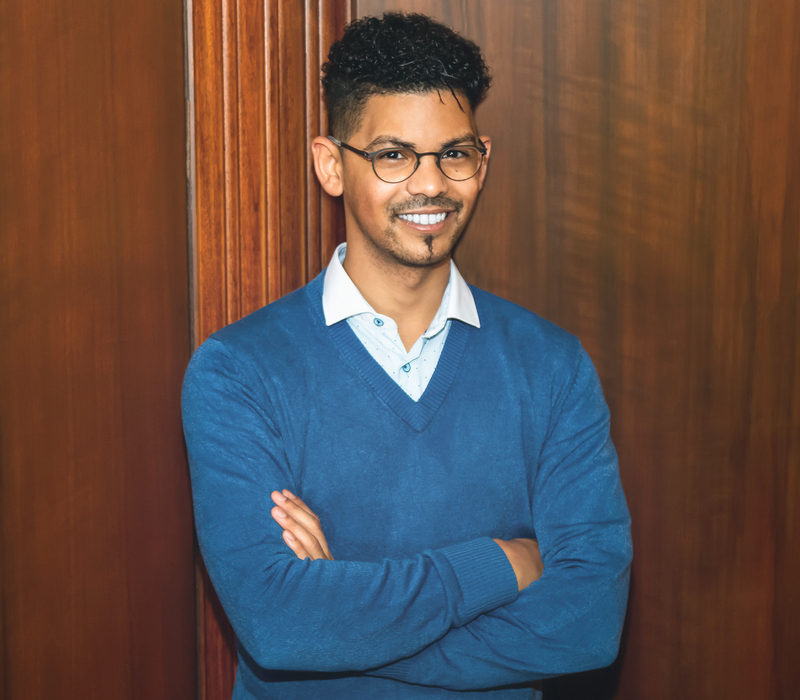 In 2012, he was chosen by the Mail & Guardian newspaper as one of the top 200 Young South Africans in the category for civil society. Rios-Santiago is beginning his career at Mott as a program assistant after earning both his bachelor’s and master’s degrees in Public Policy from Michigan State University. A native of Puerto Rico who has called Michigan home since he was 10 years old, he is bilingual in English and Spanish.